Kane Roberts states in the bio he likes to keep moving forward with his music and he certainly has done on ‘The New Normal’. Not sure it will appeal to those who enjoyed his earlier work, however it will be right up the street of Shinedown and Nickelback fans. This entry was posted in metal, Music, Music for 2019, new releases, rock and tagged Album, Alice Cooper, Halestorm, Kane Roberts, metal, review, rock, Shinedown on January 29, 2019 by The Rock 'N' Roll Oatcake. This entry was posted in metal, Music, news, rock and tagged Alexander Milas, Barney Greenway, metal, music news, rock, Tony Iommi, WMC, World Metal Congress on January 28, 2019 by The Rock 'N' Roll Oatcake. 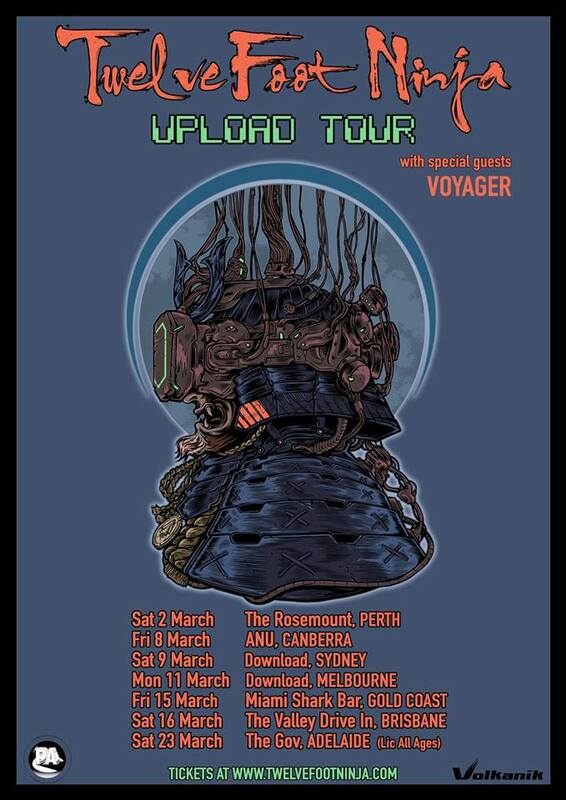 This entry was posted in gigs, metal, Music, news, progressive, rock, tour dates and tagged Devin Townsend, gigs, metal, music news, progressive, tour dates on January 28, 2019 by The Rock 'N' Roll Oatcake.